Duncanville City Council recently approved a loan refinance of $1.5 Million by Texas Brand Bank. 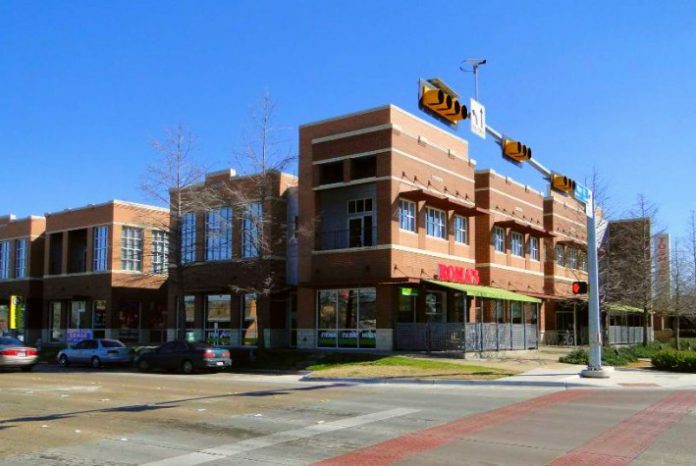 DUNCANVILLE—Tuesday, Duncanville city council members approved a refinance package for the Main Station retail space. The Monte Anderson development is located at the intersection of Main and Center Street. The $1.5 million for 60 month term agreement with Texas Brand Bank was approved unanimously. Duncanville Economic Development Director, Jessica James, said the resolution also passed unanimously by the EDC Board on November 21, 2016. Council’s vote gave final approval on the earlier action taken by the DCEDC. Duncanville Main Station and Main Street Vision Interviews from Matthew Armstrong on Vimeo. The original loan recently matured leaving Monte Anderson, general partner and partnership to find another lending institution to carry the note. Anderson recommended the DCEDC approve refinancing for the $1.5 million, plus any accrued interest. The original $1.875 million project loan with OmniAmerican expired in October of 2014. OmniAmerican extended the loan for an additional 24 months with an origination fee of $55,356.25. DCEDC paid $18,176 for its 32 percent portion of the origination fee. The loan extension expired on October 14, 2016. Southside Bank [formerly Omni American] was not interested in another loan extension. The 60 month/five year loan is based on a 25 year P&I [Protection and indemnity insurance] with a 4.875 percent interest rate and a one percent origination fee. Compared to home loans, it is very common for commercial loans to be short-term with a balloon payment due when the loan expires or matures, explained James. “Either the property owner must pay the balloon payment due or find another lending institution to carry the note,” she said. Since the DCEDC owns 32 percent of the Main Station, Ltd. Partnership it must approve any refinancing. The 57,000 sq ft mixed-use property boasts lofts on the second floor and retail on the ground floor. Currently both the lofts and the retail space are 100 percent occupied.